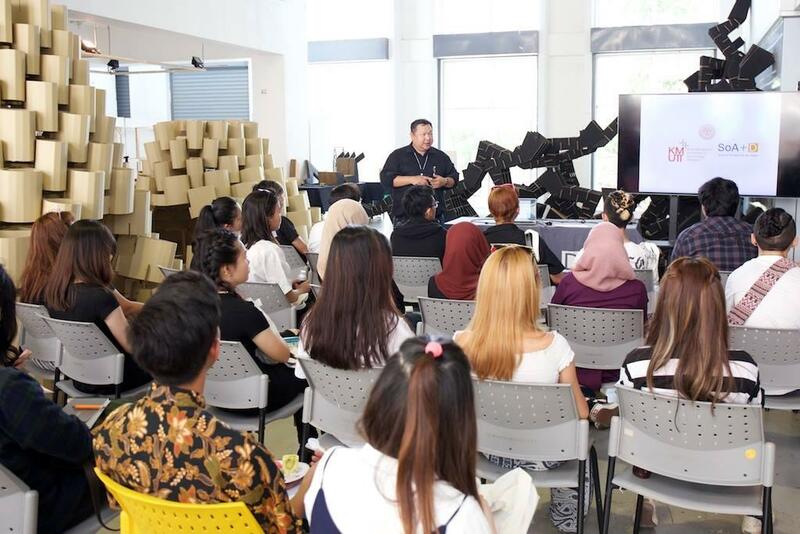 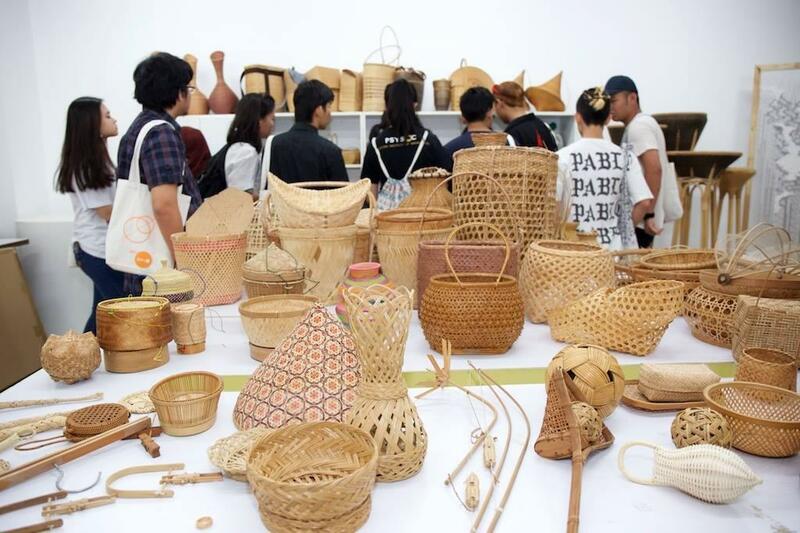 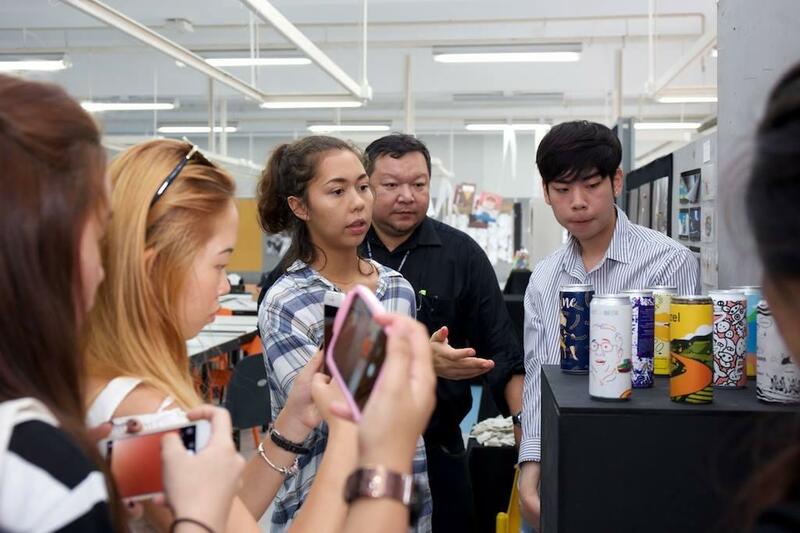 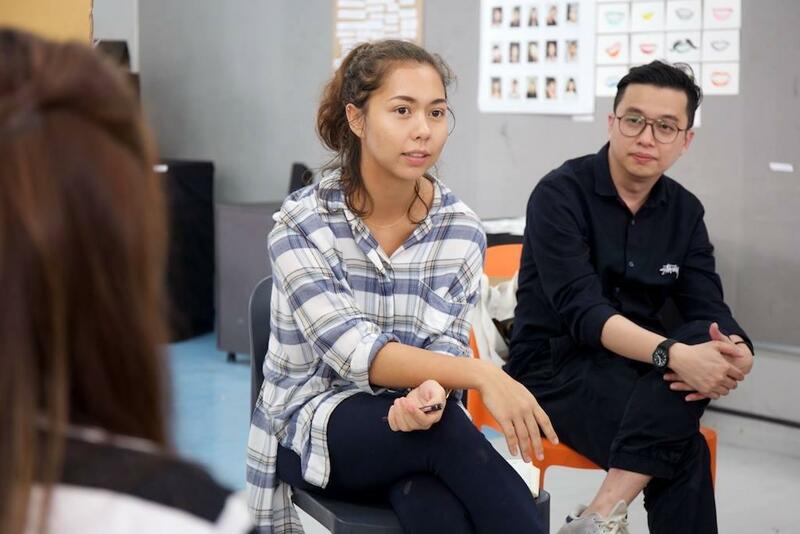 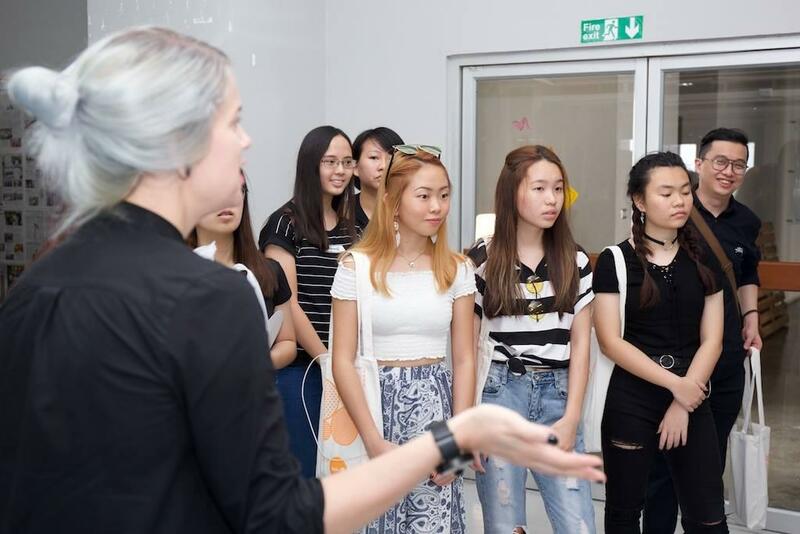 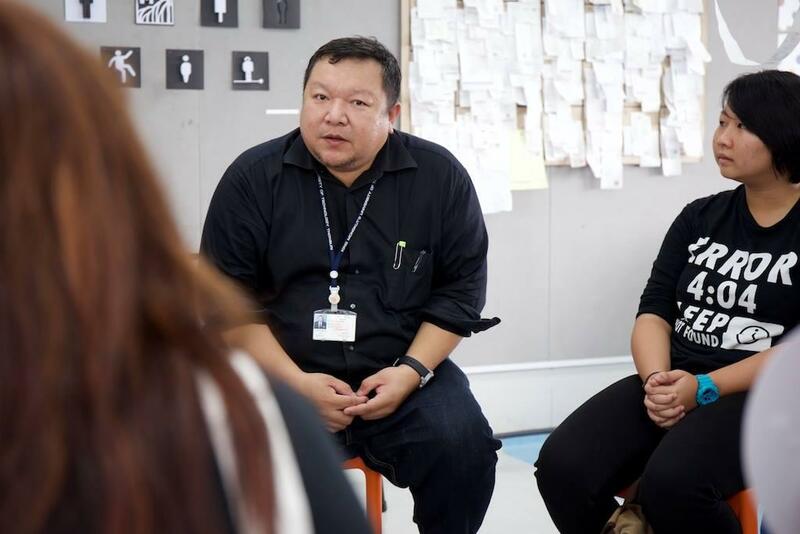 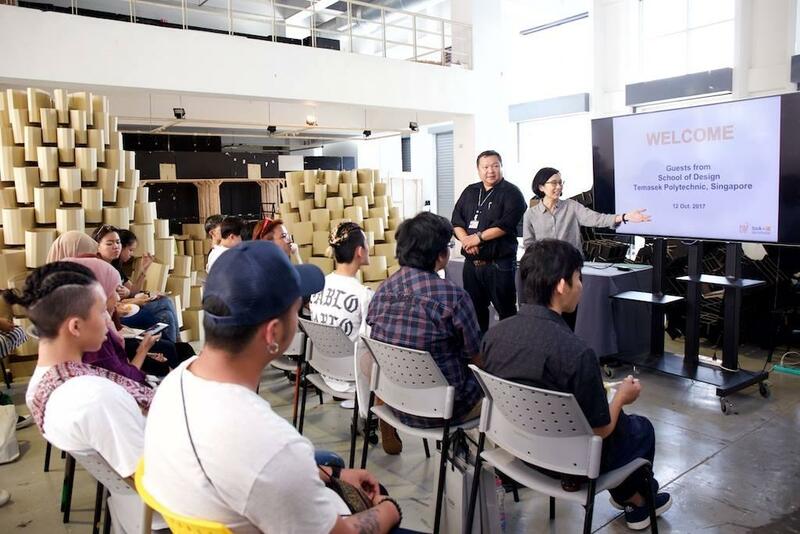 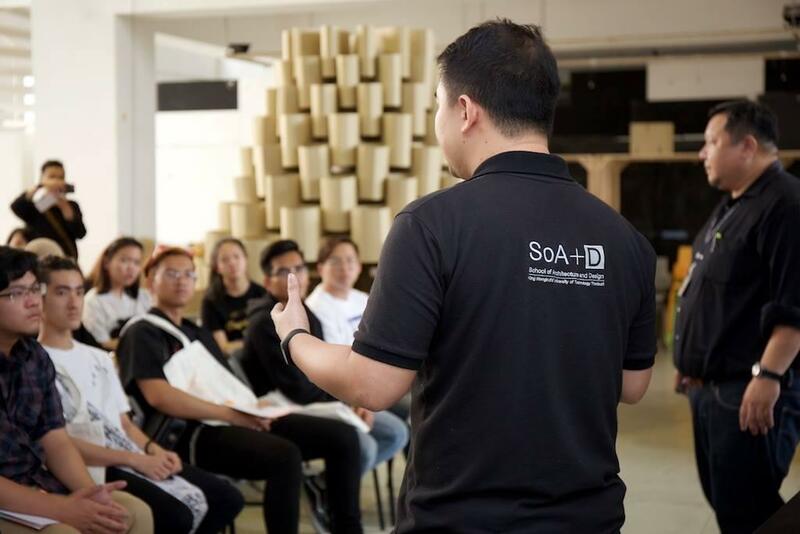 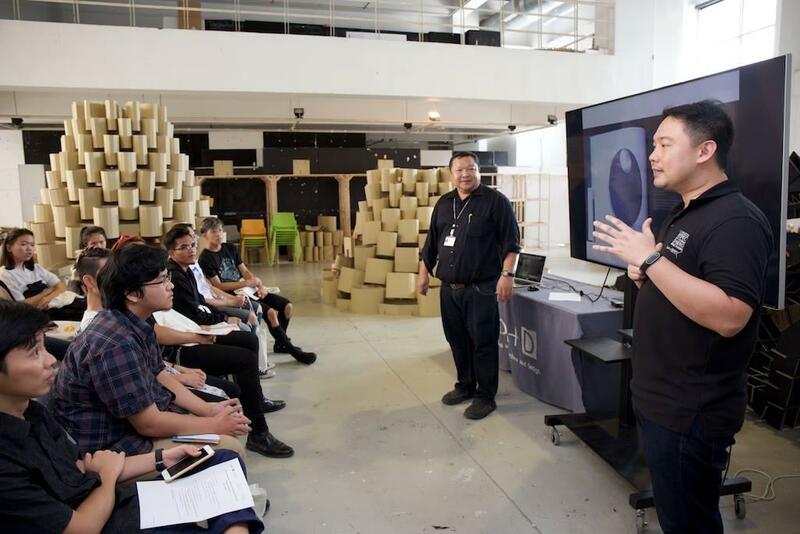 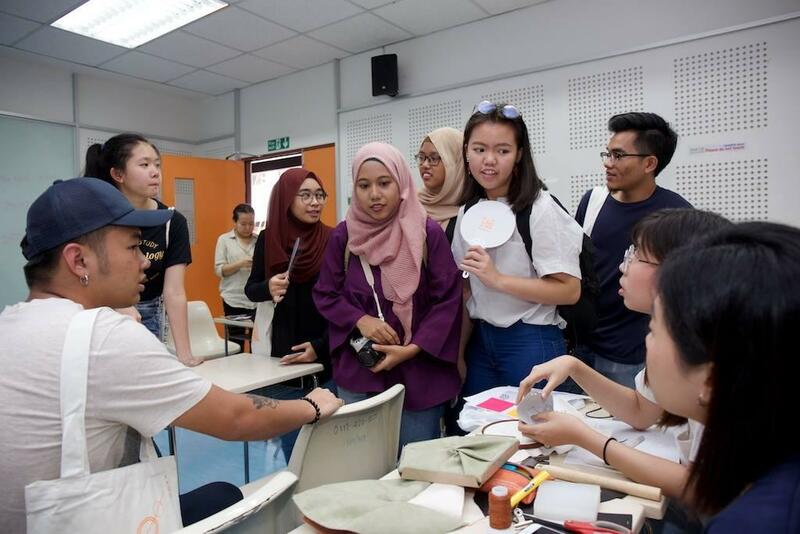 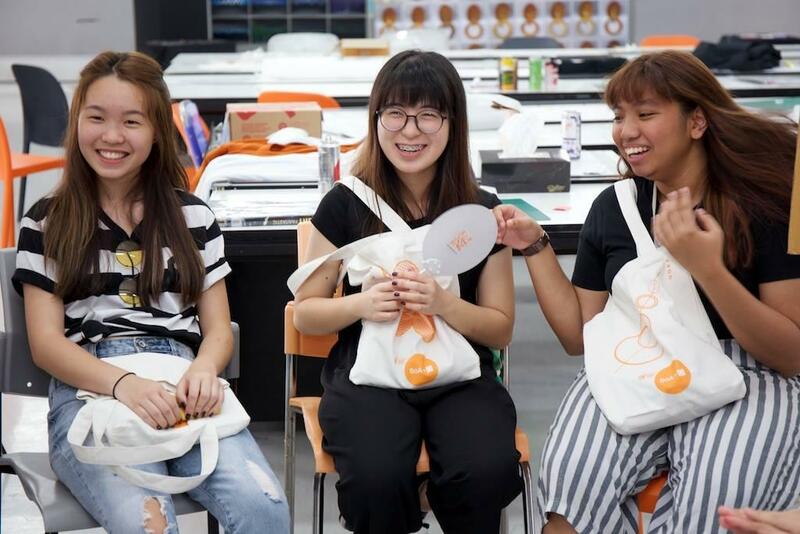 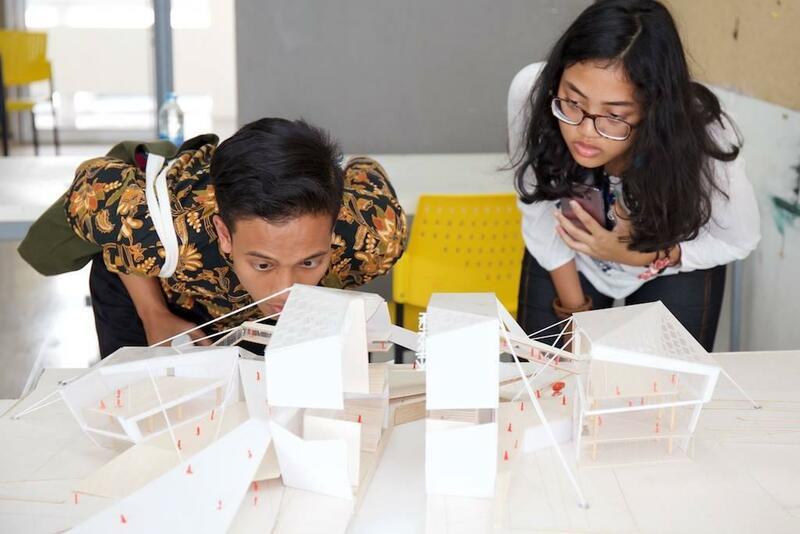 Accompanied by their lecturers, 22 students from the School of Design, Temasek Polytechnic (an institution located in Singapore) visited SoA+D on October 12, 2017. 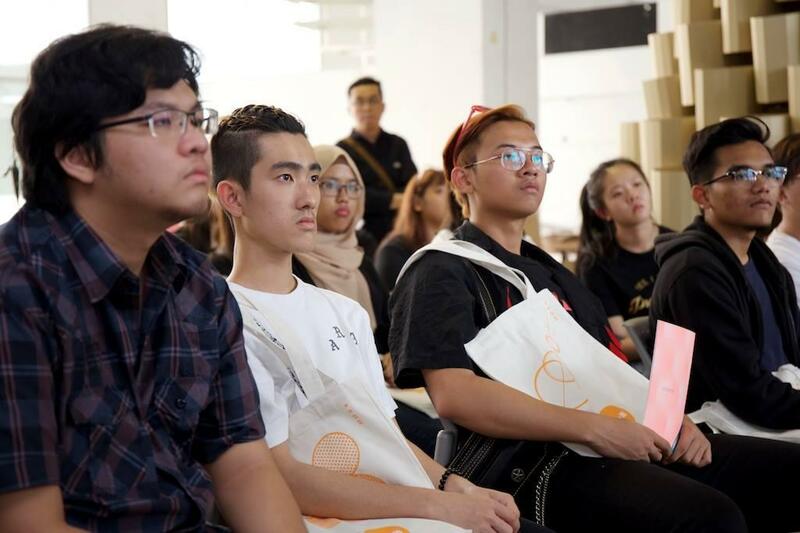 The guests were welcomed by Aj. 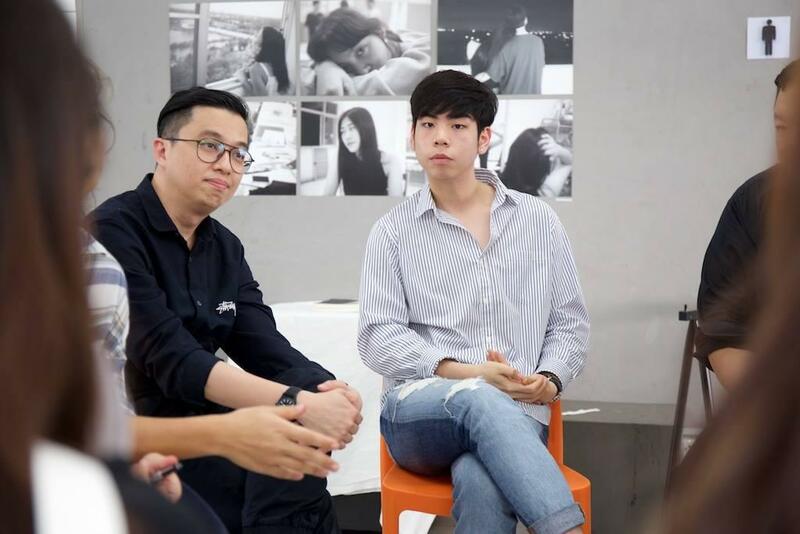 Chai Sunyavivat, Chairperson of CMD program and Aj. 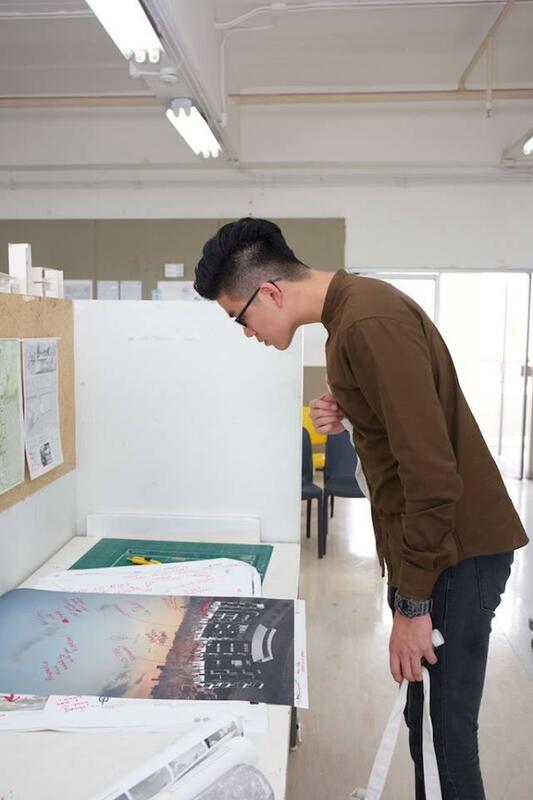 Ng Hak Hong, Assistant to the Dean for Public Relations. 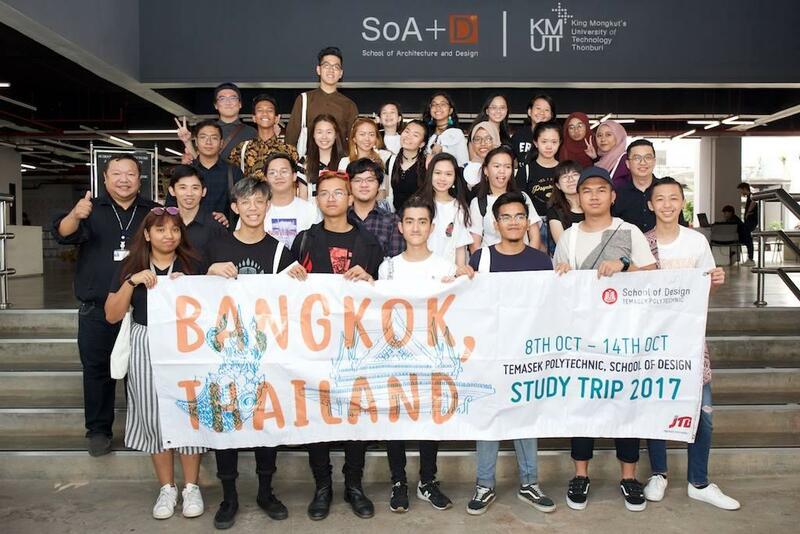 The group proceeded to our studios and had a chance to interact with our students and lecturers during a half-day tour.